As Sarah Lucas wrote in her recent blog post, “April 2015: Five Headlines from a Big Month for the Data Revolution,” one of the key “headlines” from April was an event hosted by the United Nations Economic Commission for Africa (UNECA) during which the African Data Consensus was adopted. This post highlights the event, and is cross-posted from www.Post2015.org. 1. The Africa Data Consensus is revolutionary in its framing of the Data Revolution for better decision-making and better development outcomes. The purpose of the Data Revolution has been a challenge to articulate, and the Revolution itself a big tent, encompassing a wide range of data issues (the post2015.org data revolution blog series shows the great diversity of opinions about its purpose). The Africa Data Consensus succeeded in defining the data revolution in terms of its main purpose: “a shift in the way that data is harnessed to impact on development decision-making, with a particular emphasis on building a culture of usage.” This framing (like the UN’s Independent Expert Advisory Group on a Data revolution for Sustainable Development report) emphasizes that a successful data revolution will help development actors use data to make better decisions about development. 2. Demand-driven data is a major priority. In several of the data community discussions, participants emphasized the importance of an interactive data ecosystem. They noted that a wide variety of actors (beyond just government) should be involved at every stage of the process: driving decisions about what data to collect, gathering that data, and using the results. While many emphasized the importance of open data, this principle notes that the type of data that is available should be driven by those who will use it. 3. The role of National Statistical Offices (NSOs) is a complicated and political issue, and there are significant opportunities for development if they can modernize. For most of the so-called “data revolutionaries,” especially in civil society, making sure the flow and use of data is open and dynamic is a major priority. However, representatives from NSOs continue to emphasize that NSOs should remain the center of national data system. The Consensus document reflects a careful balance: a call for new data sources and processes while still honoring the centrality and autonomy of NSOs. Any effort to implement the data revolution at the country level will need to address the role of the NSO while still working to expand the definition of a broader statistical system. One recommendation made at the UNECA event was for countries to review the national legal frameworks to more broadly define the role of NSOs. There were African representatives leading the discussions for a wide variety of data communities, deeply engaged in the technical and political aspects of their particular issue. The UNECA and other organizers was able to elevate this issue to the ministerial level, as well as draft a document that was amenable to the entire set of participants. The Ministers of Finance endorsed the consensus document, demonstrating a willingness of national governments (at least at that high level) to engage on the issue of the data revolution. 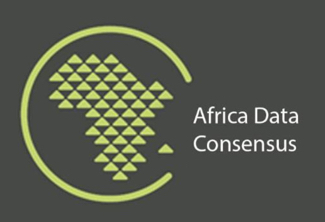 The development of the Africa Data Consensus represents greater conceptual clarity on the data revolution, as well as a chance for those who would be most affected by a data revolution to lead it. In other words, it’s a big deal. Now we need to find out whether other regions will follow Africa’s lead.